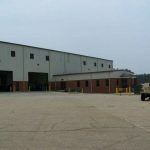 Project Description: LRA provide design/build services for the construction of an 80’ x 100’ x 30’ pre-engineered building totaling 11,200 square feet. 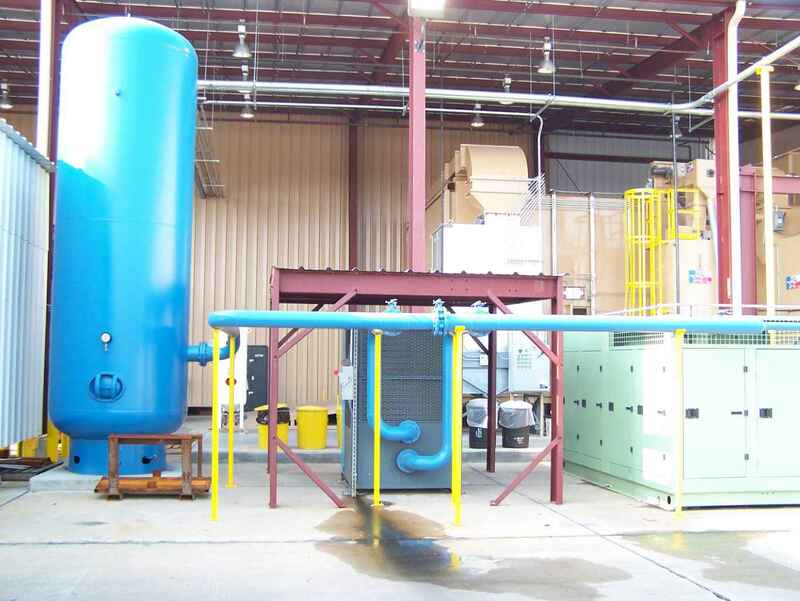 The facility was equipped with a 20 ton bridge crane, two 150 hp compressors, two after air coolers, a 1,750 gallon air receiver tank, a 1500 KVA transformer; 600 LF of primary lead from the new transformer to an underground switch gear, 1200 and 800 amp secondary motor control centers, a secondary electrical system for welding exhaust systems at 29 welding stations, 29 jib cranes and a storm drainage system. 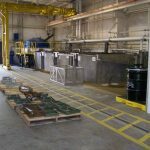 The building also included ventilation, fire alarm and sprinkler systems, a 40’ x 20’ x 8” equipment pad and a 40’ x 80’ x 20’ equipment cover. This project was completed on time and within budget.